At nationalisation in 1948, the newly formed British Railways inherited the coaching stock of the ‘Big Four’ and continued to build new vehicles based on their designs until 1951. This is the first of two planned volumes dealing with that inheritance. 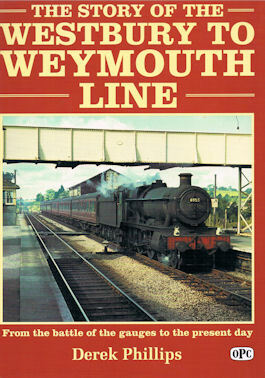 This book provides a complete listing of all the coaching stock absorbed by BR from the GWR and the LNER, a second volume in preparation will deal with passenger rolling stock of LMS and SR design. 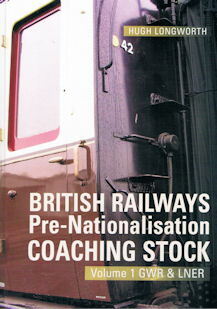 The books will also record any pre-grouping stock which came into BR ownership in 1948. 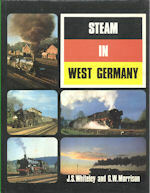 The information in this volume is divided into separate sections covering GWR and LNER rolling stock. The entry for each individual vehicle contains details of when it was built and when it was subsequently withdrawn from service. The book includes not just passenger carriages but sleepers, buffet, griddle, kitchen and other catering vehicles and also non-passenger stock permissible for use in passenger train formations such as horseboxes, fitted vans and milk tanks. Vehicles converted for use as Departmental stock are also recorded.